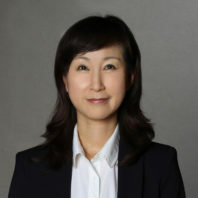 Yujung Nam says the prospect of working at the Edward R. Murrow College of Communication attracted her because of its wide recognition as one of the most prestigious communication colleges in the nation. Nam received her bachelor’s degree from Yonsei University in Seoul, South Korea. She then received her master’s in communication from Indiana University and earned her doctorate in communication from the University of Southern California, where she also taught. In January 2016, she joined the Murrow College and says she has found Murrow students have a great work ethic. At the Murrow College, Nam teaches Trends in Human/Computer Interaction and New Media, as well as Mobile Media and Computer- Mediated Communication. Along with these undergraduate classes, she also teaches a graduate class in Heath Communication. In addition to teaching, she conducts research that focuses on the intersection between communication technology and health communication. She is interested in how people use technology to live healthier lives. 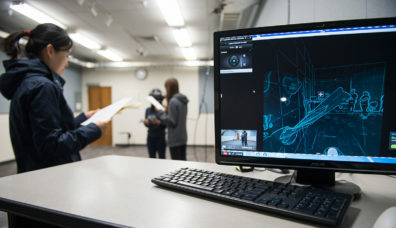 Further, Nam, who studies how people who are ill use communication technologies, especially virtual reality, helped establish the Virtual Reality Lab in Jackson Hall. She also researches the ways social media might help a young patient reintegrate into school after long absences because of illness. When not a work, Nam participates in winter sports, particularly skiing. She also enjoys playing arcade games.